Monday 24th Not a lot going on, 7’0” and rising filthy brown but at least it was sunny. Still not caught the Mole, he’s got more lives than the proverbial cat, seals gone, no rods turned up can’t blame them, checked the boats and bailed them out, reset the bloody mole traps, reset rat traps, fed the chickens, had a bleather with some walkers, zeroed in scope on rifle as it fell out of the car when I opened the door and I missed a Squirrel by a foot on way in. It’s not going to fish tomorrow and another band of rain coming through tonight and the rest of the week to be unsettled, it’s going to be a poor February with only 1 fish on the scoreboard so far and not much chance of increasing that. Tuesday 25th 5’6” and dirty so no fishing, Q McLaren arrived to pick up his kit, he’s been trying to fish for about 8 days and apart from a day and a half chucking a Toby off the bank he’s been flooded off that’s what February can be like, better with a hard frost. 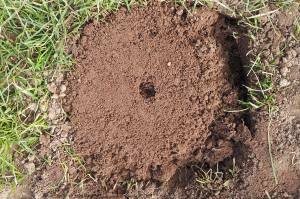 Part of the new team arrived this morning had a coffee then took themselves off to the clay pigeon ground at Selkirk. Still not caught the Mole so removed all the traps and washed them clean of soil and reset them on the lightest of settings, part of the trouble is, in fact all the trouble is everyone has to walk past/over them so they collapse the tunnels and the Mole shoves the soil along in front of himself filling the trap before he gets there, if this continues I’ll have to try the biscuit tin method (I’ll explain later). Looking at the gauges tonight I see it rising again so tomorrow looks out unless you’re very very keen, in fact too keen if you fish. No sign of the seal today and no reports of it either so it must be back at sea. Wednesday 26th 4’7” and coloured along with a stiff west wind, two of the lads turned up and another is giving his mate a lift home as he’s fallen and cracked a rib,( put more water in it). One of these days it’ll stop raining, it’s not that we have had much rain in Coldstream far from it in fact, but as they say it doesn’t matter what happens here it’s the west that matters, and of course it’s been raining in the west yet again as it’s 4’0” and rising at Peebles so tomorrow looking grim. I know what’s going to happen you wish for it to dry up and it will, for months! But at least we can get at them and it will keep the fish down the bottom end of the river with us (sorry all the lads above us) but there must be loads gone through, enough to do you for a while at least. Thursday 27th A nice sunny day but you guessed it the river’s rising again, 4’2” and 40 degs with a bit of colour. The Otter was the first visitor today right outside the hut and then floating over the Cauld. Houdini the Mole (we’re on first name terms now) has managed to escape capture yet again so if he’s not in a trap tomorrow morning it’s the biscuit tin for him. 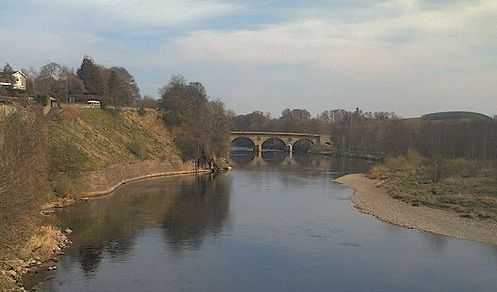 The rods arrived and have decided to head down the road and try the Coquet on the way down, that’s the river by the way not the game with wee coloured balls you play on the lawn, anyway we had a coffee and discussed dug training at length not that Kelsae was paying any attention. Kelsae (team dug) is coming along fine but she’s too friendly and buggers off with anyone else with a dog that walks past the hut, also just watch your lunch as she’s been getting fed from the table by Terry Harper with slabs of beef so there’s every chance she’ll pinch your lunch if it’s in sight, she hasn’t yet. Some Germans thought it was funny a few years ago with my other pups to flick food of the table and watch the dogs catch it, it wasn’t so funny next day when there was bugger all on the table apart from a few paw marks! It certainly tested the German sense of humour, but I did warn them. It is to be frosty tonight and no rain so we should fish tomorrow albeit off the bank with a Toby, we’ll see. Friday 28th It’s the last day of February, now that’s something to celebrate! It’s a horrible month and I’m always pleased to see the back of it. All the rods elected not to fish today a wise choice really, although it was a lovely day, warm and sunny once the freezing fog lifted, I saw Calum and his two rods having a cast at the Upper Temple so wandered up for a chat they were chucking Tobys off the bank but had touched nothing, never mind lads your fishing with me in April and the rivers bound to have dropped back by then. Calum also told me that there is a big Otter dead on the Wark road this morning opposite the Temple so that’ll be the last we see of him until a new one fills his place. 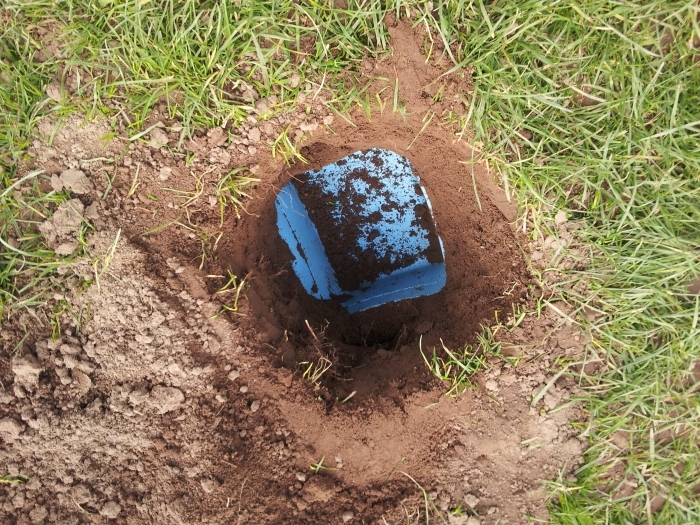 Houdini (mole) is up to his usual tricks and filled all the traps with soil so the biscuit tin method has been brought into play today, except I’m using a Tupperware box as the wife wouldn’t give me the biscuit tin. There was just the one fish off the river today at Junction so a lot of effort for one fish, I know its big but I would of thought somewhere above Kelso would of produced a fish or two. Frosty tonight again so I’m hoping for about 3’3” tomorrow I would like 1’10” but can’t see it somehow. Saturday 1St March White rabbits and all that! 3’3” and 40 degs, a nice sunny start to the day and no wind water clean. Phil Fisher shouts there’s a seal outside the hut! It’ll be an Otter I say to myself but no he’s right its a seal about 3 yards off the bank which slipped under and headed upstream, I sent a few texts upstream and found out there’s two seals, looking downstream there’s the Otter fishing in the Cauldstream so a challenging start to the day. Took John McLeod into the Cauld with the fly and fished it through but not a touch was had; we did sort out the referendum debate though. Phil chucked a Toby about but no interest there either. We fished until 3.00pm by then the lads had waved the white flag and headed home. So the second worst February ever the worst being zero, no wonder I hate it. 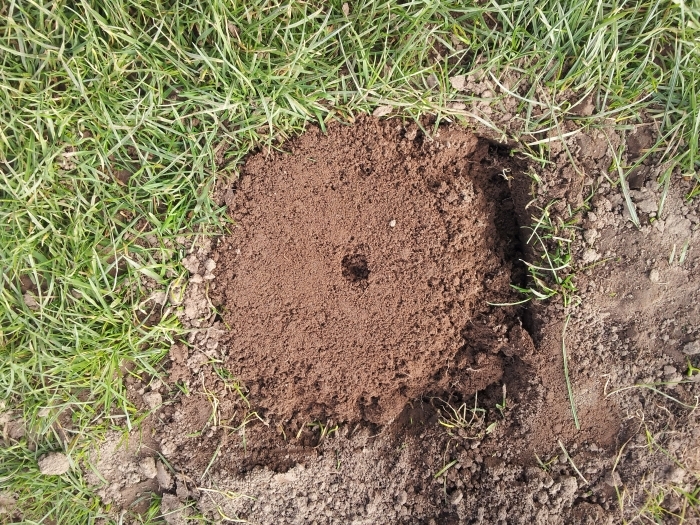 On the Mole front Houdini lives up to his name and I fail to catch him even using the biscuit tin method, he just filled the hole up with soil, now this hole is a foot deep by nine inch square, so where does all the soil come from every morning? Much more and the bank will collapse into the river. Biscuit tin method- sink tin into mole run below level of run making sure both ends of tunnel are flush with tin, along comes mole and falls in, moles can’t jump so next morning he’s in bottom of tin as he can’t get out, thats the theory anyway which does work unless he fills the whole thing up with soil as in this case. All traps reset so we’ll see. More rain tomorrow so Monday will see river back up and a bit coloured no doubt, one day it’ll drop. Photos are of Biscuit tin method, tin needs to be deeper really but best I had at time.